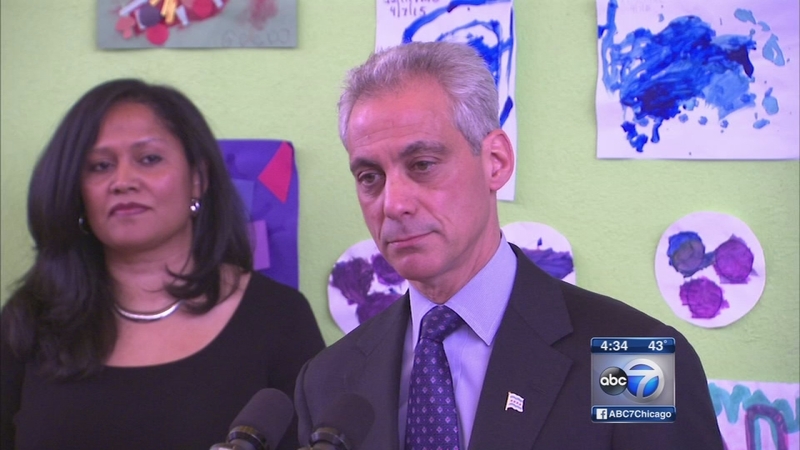 CHICAGO -- Mayor Rahm Emanuel is rejecting Gov. Bruce Rauner's offer to advance $450 million in state funds to help Chicago Public Schools make a $634 million pension payment. Spokeswoman Kelley Quinn said Monday that using 2016 grants to pay this year's pension costs "follows the same path that got the schools into the current financial mess." Quinn says CPS needs "a real solution," such as a Rauner proposal announced last week. Under that plan, the state would pay the employer's contribution for CPS teacher pensions, as it does for districts outside Chicago. CPS officials say the district doesn't have the money to make the required payment by a Tuesday deadline. Rauner spokesman Mike Schrimpf says the proposal to accelerate grant payments would've provided short-term relief while lawmakers work on a longer-term fix.